Join in the fun! Be enthralled. 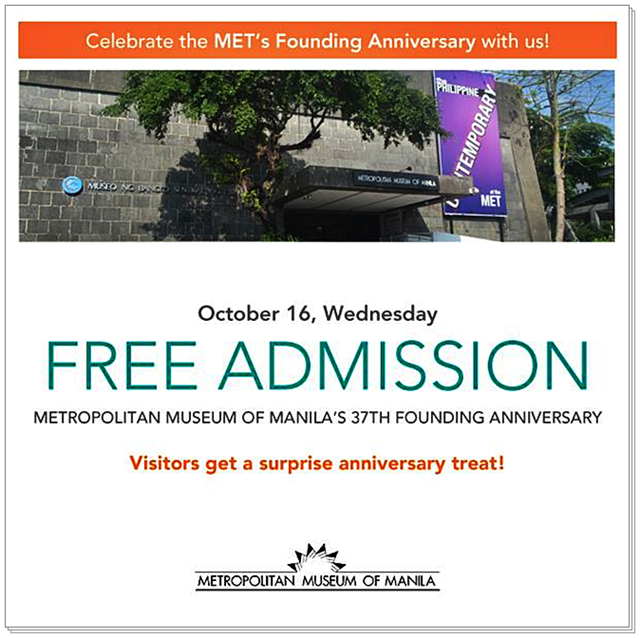 Visit and celebrate the MET Museum Founding Anniversary today, October 16, 2013, Wednesday for FREE and get a surprise anniversary treat. Museum hours: 10:00 a.m. up to 5:30 p.m.